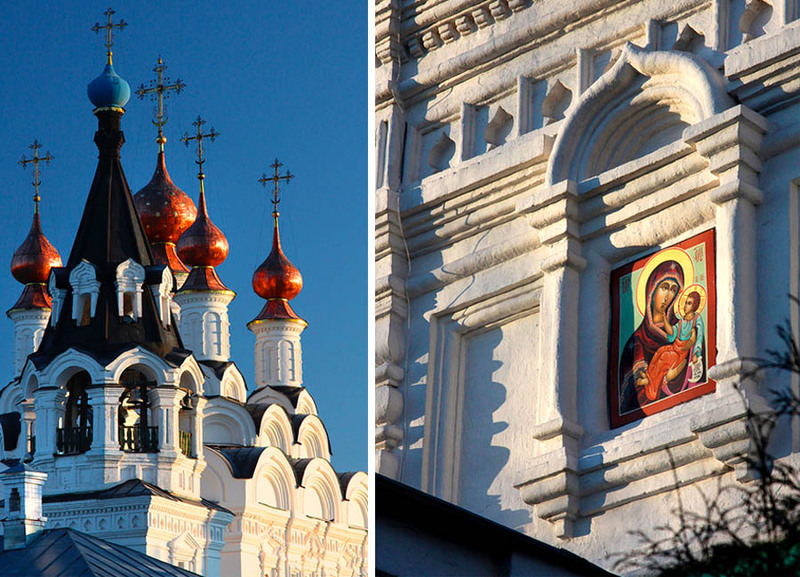 Old Russian architecture is still largely unknown in the West, if you consider that most people are only aware of the Kremlin and maybe one or two key churches in major towns. 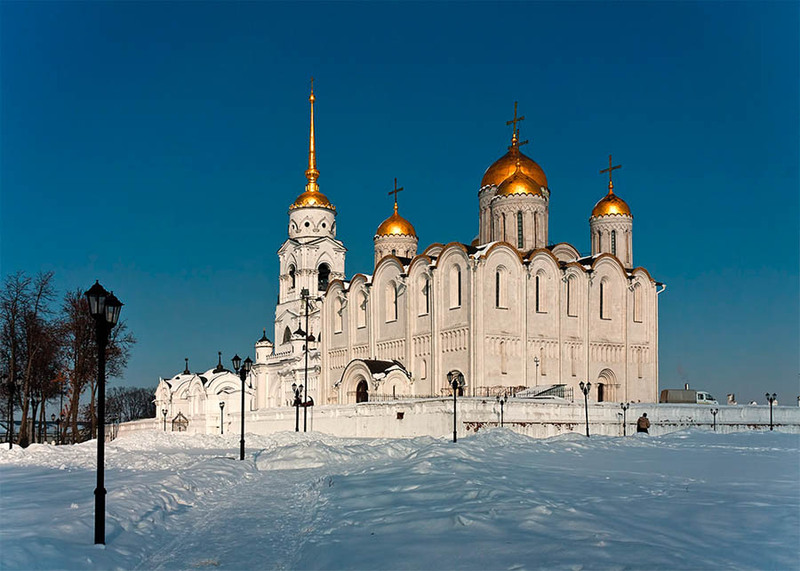 But the land that accepted Byzantine Christianity back in 988 AD - and produced mighty works of divine architecture and art in the centuries since - is unimaginably vast. 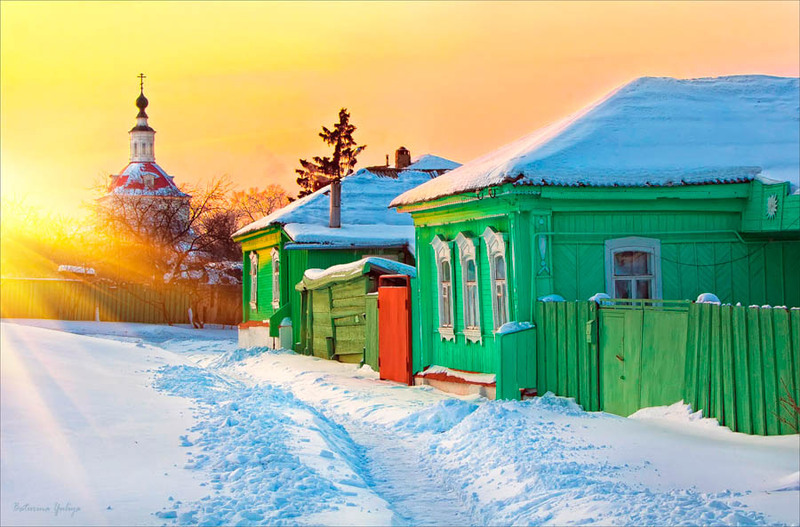 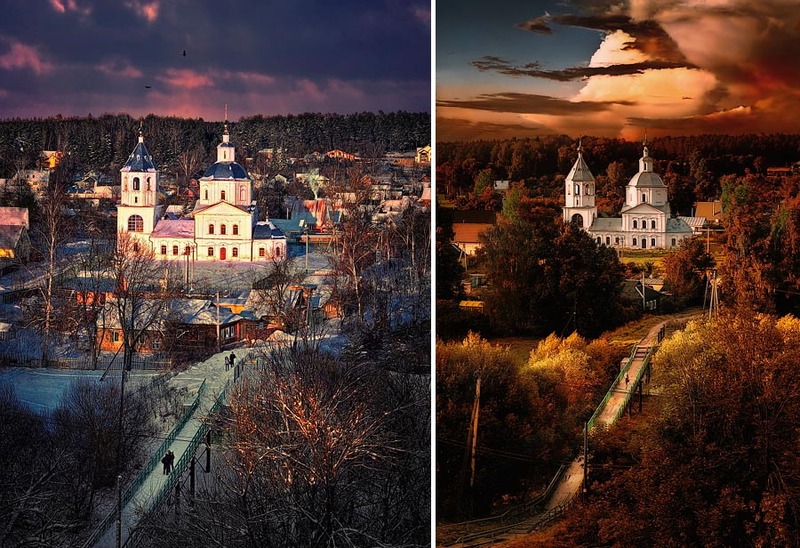 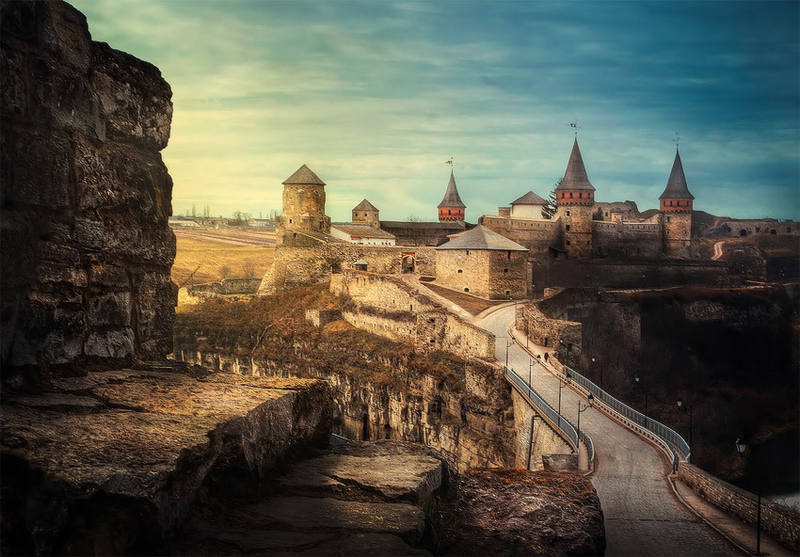 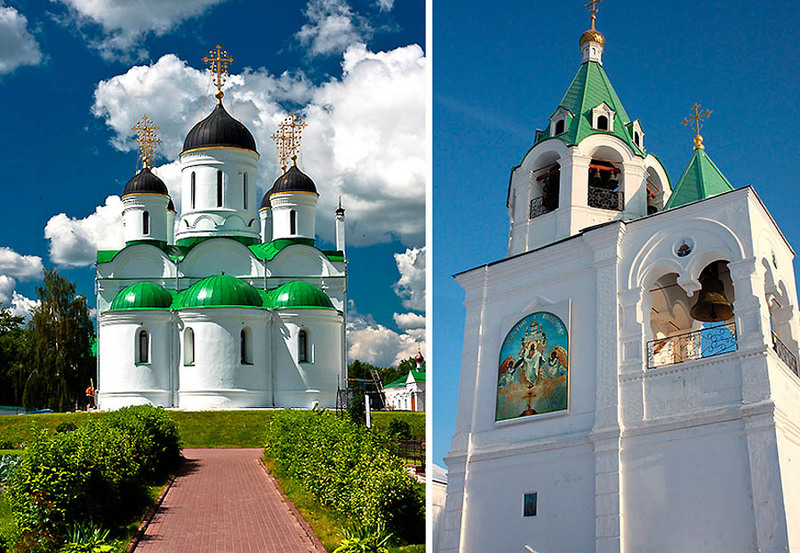 Once you decide to venture into pastoral and often bleak small towns and Russian countryside, there is a good chance that architectural gems and religious art masterpieces hidden there "in the rough" will be totally unknown to most people. 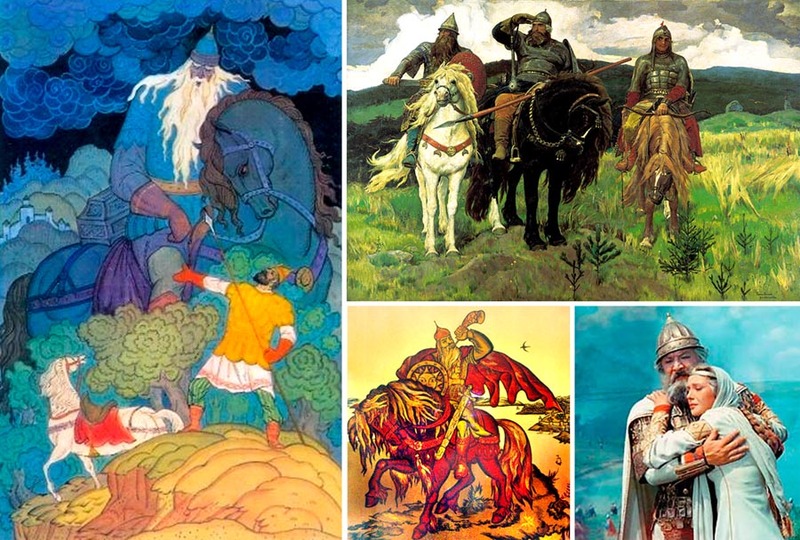 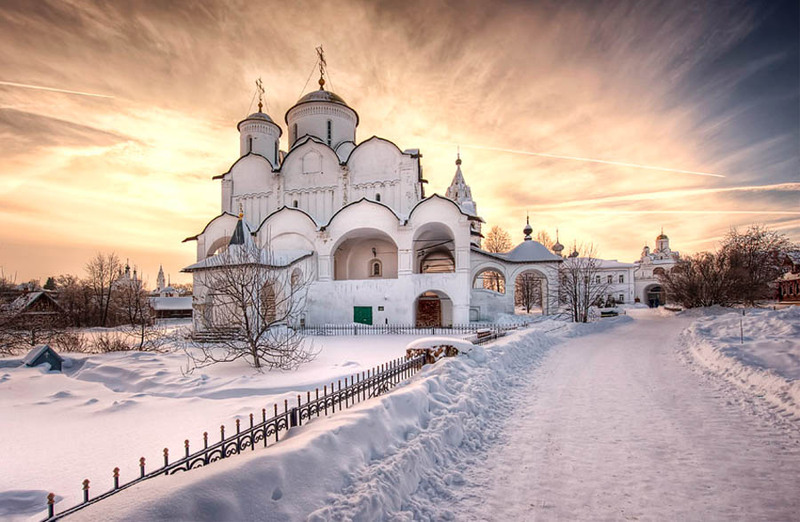 And yet, the pure, inspired, and rich legacy of the first Russian builders is worth discovery and, after you've been enchanted, further exploration. 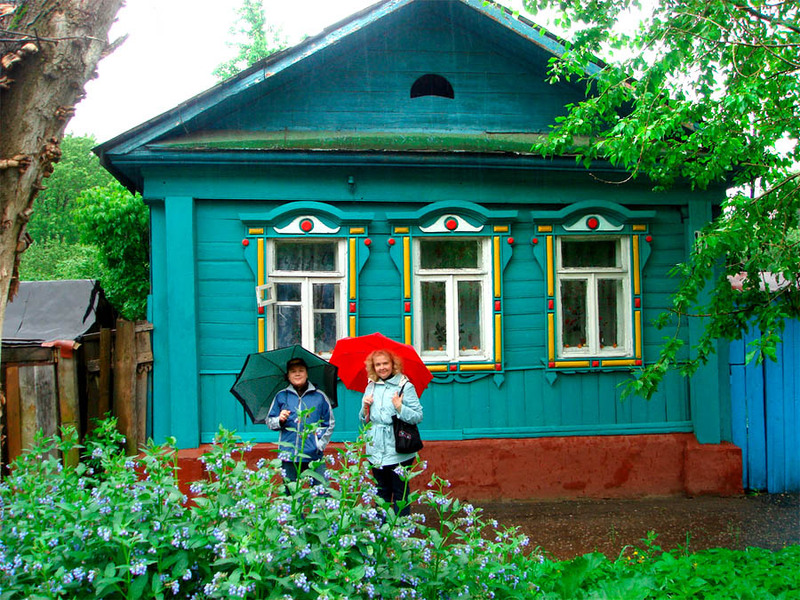 In our first part we saw the "magical" wooden palace that's been recently restored in Moscow. 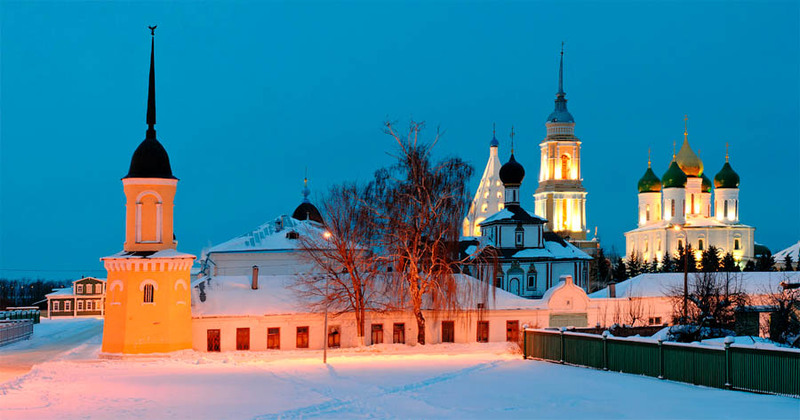 Today we are going to highlight significantly less known (but no less beautiful) structures in Russian small towns... but we'll start with a true Baroque skyscraper, if there ever was one! 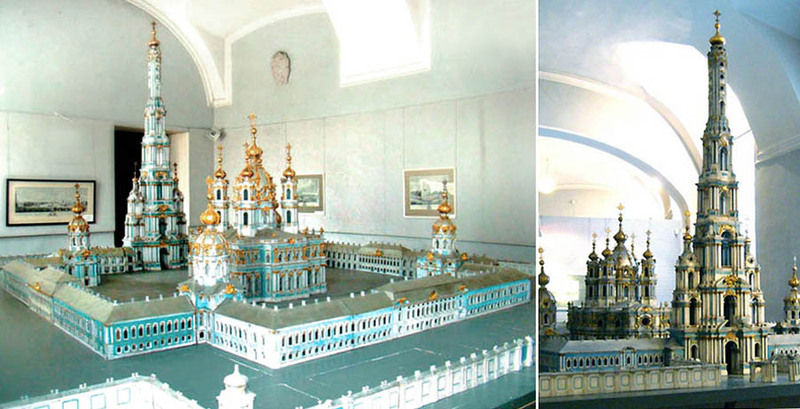 You're looking at the model of the Smolny Convent in St. Petersburg (it was only partially built, without the incredible bell tower). 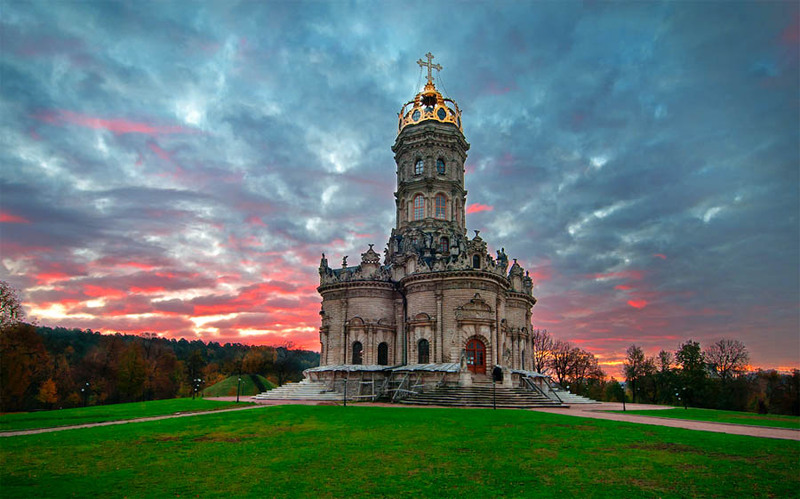 The Italian-born architect Francesco Bartolomeo Rastrelli lived and worked in Russia during the reign of Elizabeth - and he had a vision to create something epic and undoubtedly special: a bell tower 140 meters tall with five distinct levels that would be taller than anything in Europe at the time! 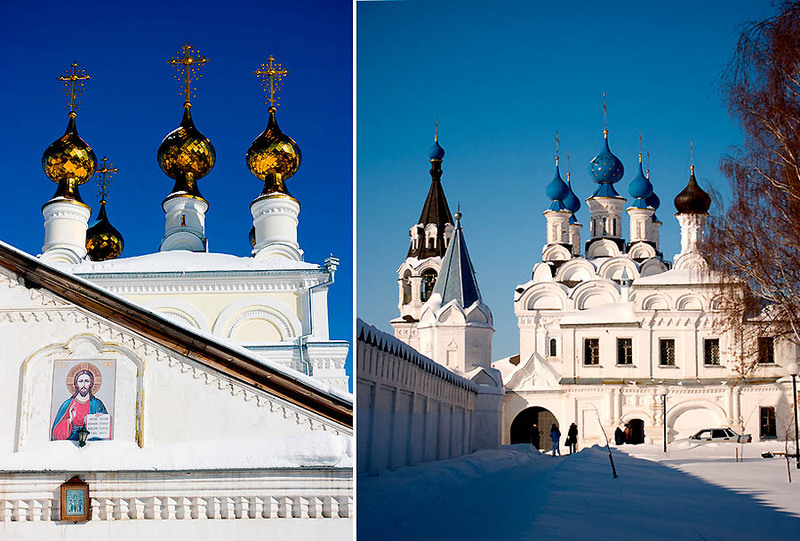 Some sources state that Elizabeth's death in 1762 prevented Rastrelli from completing this grand design (Catherine the Great favored Neo-Classical style instead); other sources insist that it was ultimately Rastrelli's decision to abandon the construction. 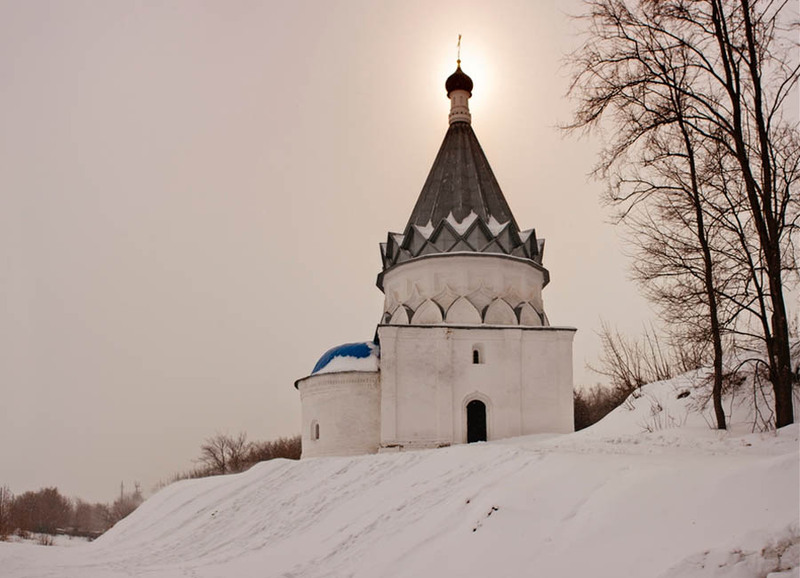 Perhaps, he realized that the bell tower was too dominating and overpowering the whole Convent arrangement? 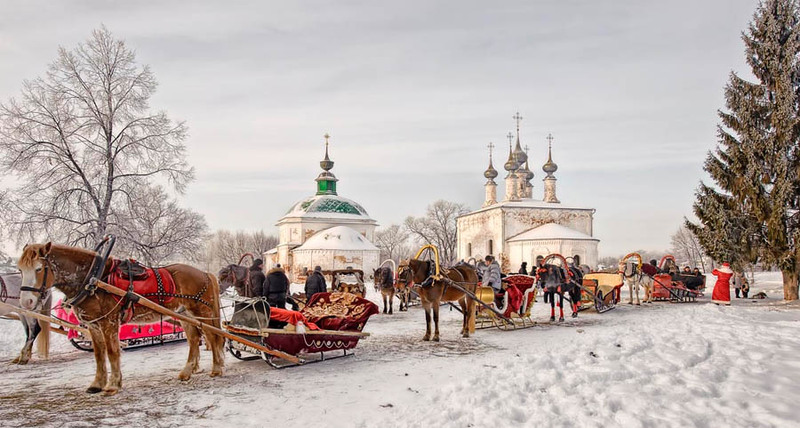 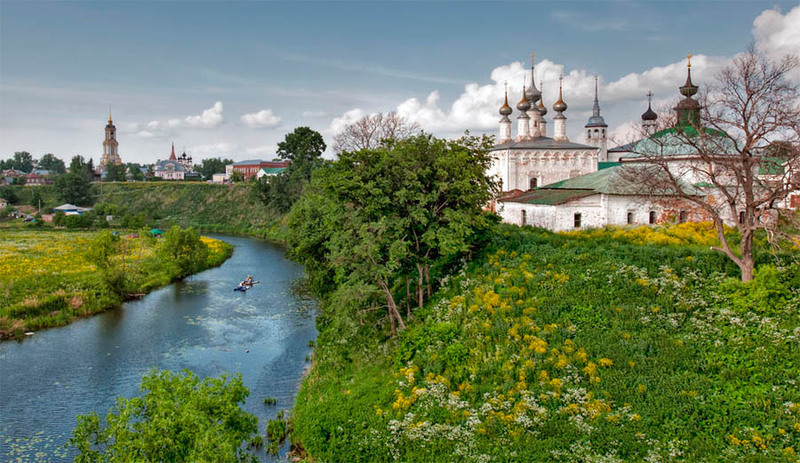 ...and the Pechersky Monastery in Nizhny Novgorod: "The Road Goes Ever On"
Part of Russia's "Golden Ring" and first chronicled in 1024, Suzdal "once had 40 churches for 400 families". 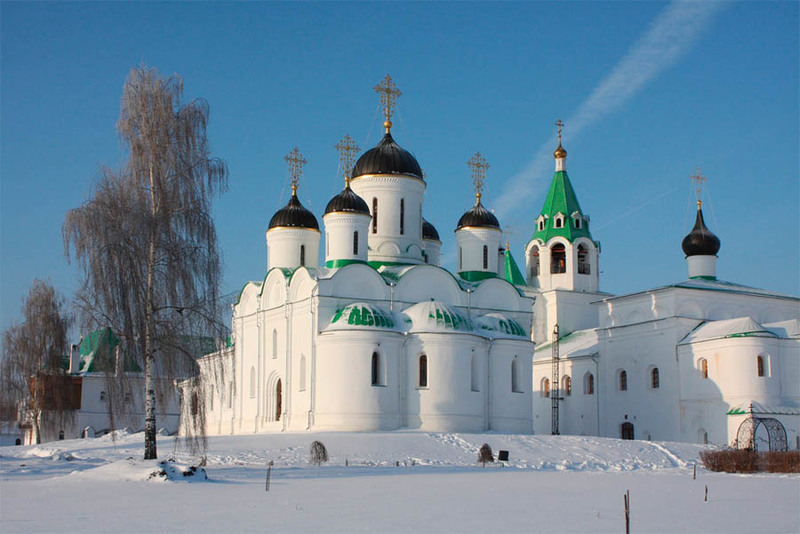 The compact Suzdal-Vladimir area contains 5 monasteries, 36 churches and 15 bell towers. 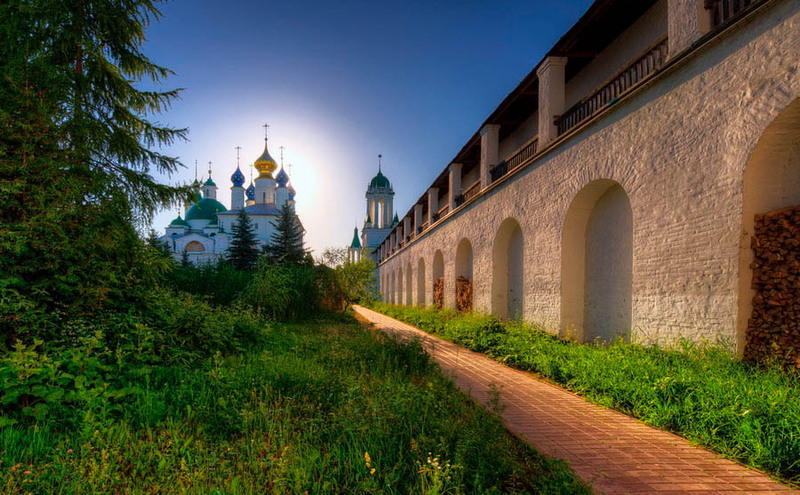 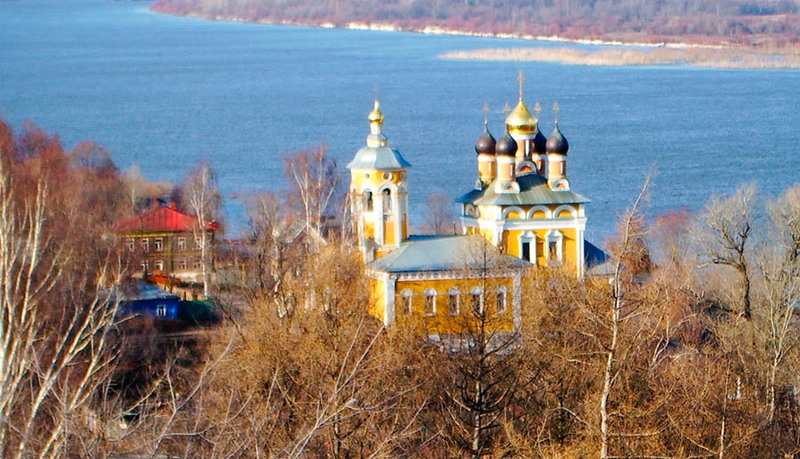 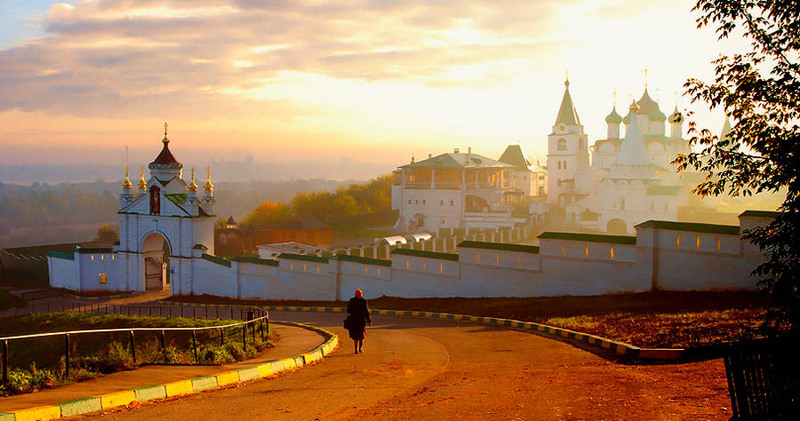 "the Pskov-Pechersky Monastery",as you call it, is in Nizhny Novgorod, not Pskov. 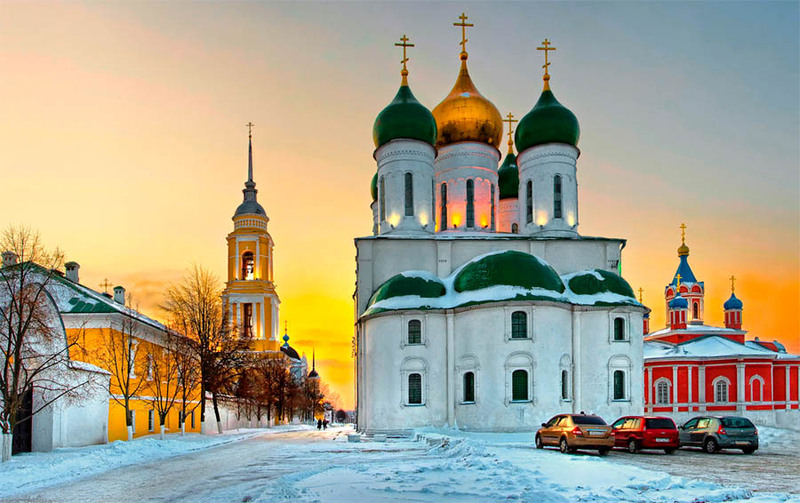 The highest building in mainland Europe for centuries was Oleviste church in Tallinn Estonia, that was built about year 1500 and was 159 meters high. 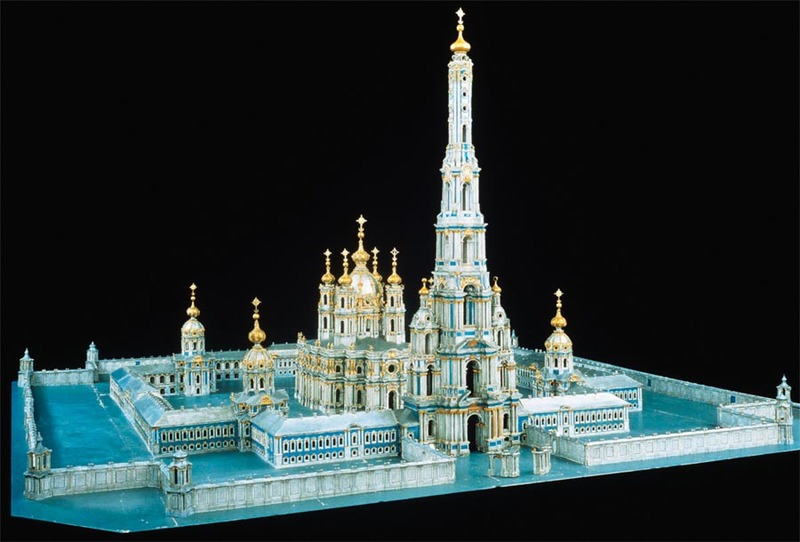 Lincoln cathedral in Great Britain was in years 1300-1549 about 160 meters high. 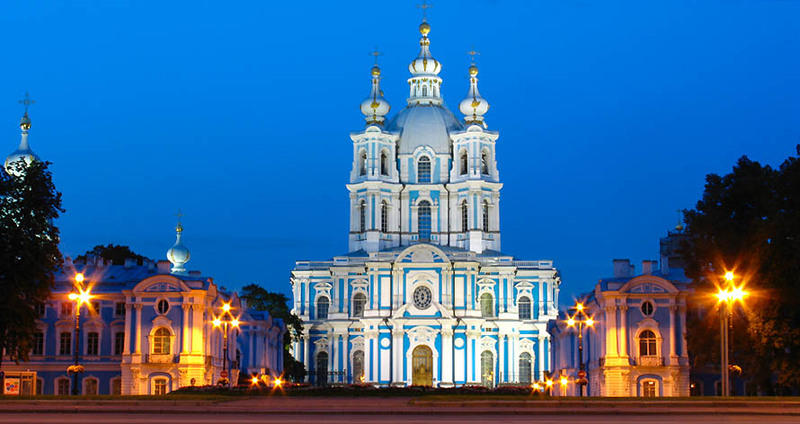 That St. Petersburg convent built 1750 would have been highest building in Russia that time. 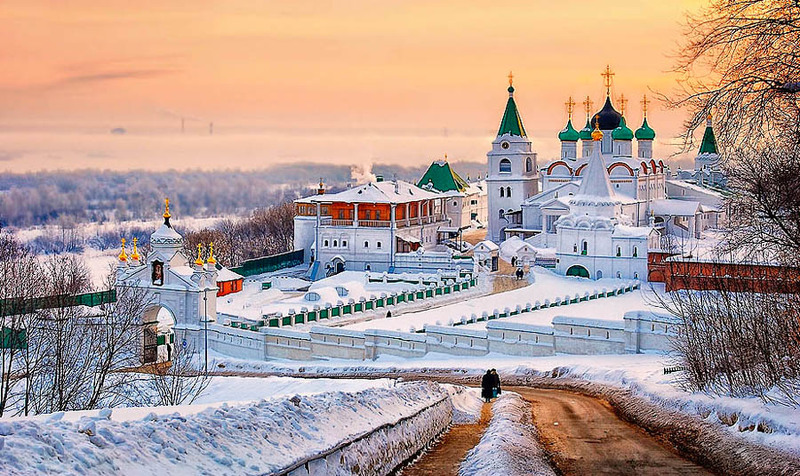 God Bless Holy Mother Russia! 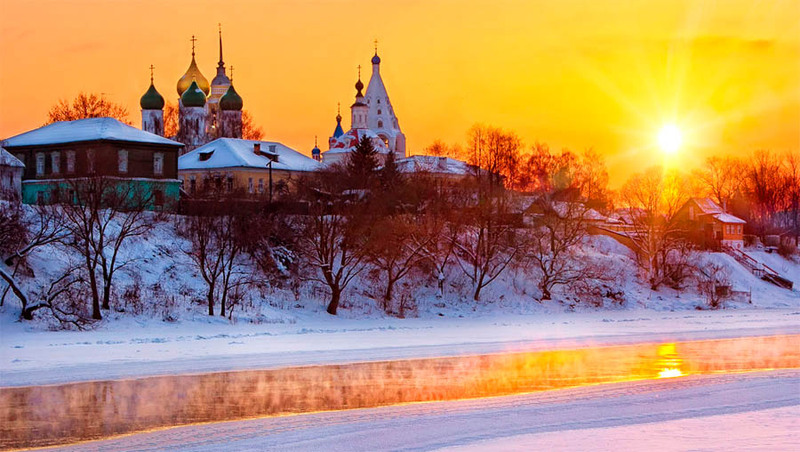 Her whole essence was and will be again the glowing, warm and loving Light of the radiant soul that is the high reality of every being and the Holy Mother who embraces all. 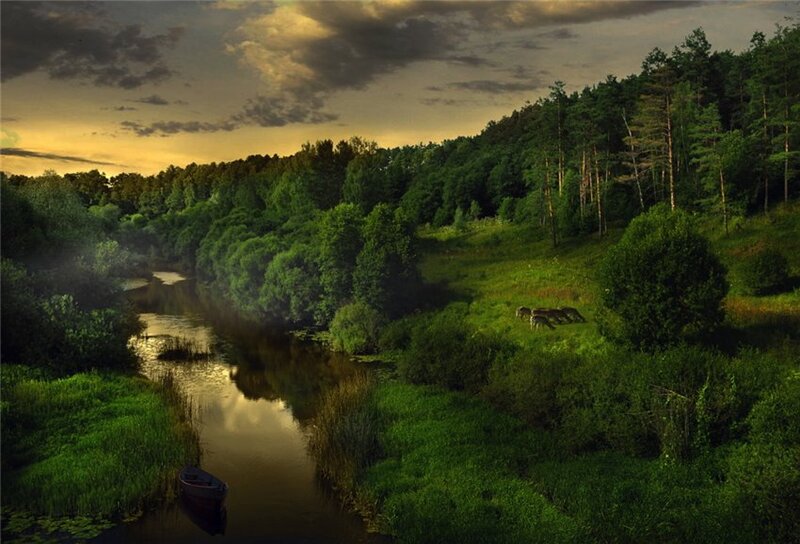 Thank you for this truly magnificent set of pictures which illuminates something of her spirit to those who really know her!